Concrete and masonry foundations can fail over time and walls can begin to bow. Typically bowed walls are caused by lateral pressure from the outside soil or from a design that is poor. 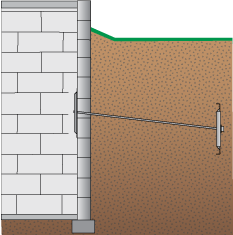 Walls can begin to bow because of compaction of the surrounding soil, poor basement waterproofing, water that is uncontrolled, or a poor drainage situation. Oversaturated soil can put extreme pressure on foundation walls, so make sure that gutters and downspouts are draining correctly. Make sure that water is draining off nearby sidewalks, patios, and driveways and not pooling along the foundation. Do You Have Shrinking Concrete? Over time shrinkage occurs from the curing of concrete or mortar. As it shrinks cracks often develop. These are sometimes along mortar lines and sometimes become vertical cracks. Once there is a crack, it is weaker than the surrounding wall. When that occurs, the pressure from the outside will cause the wall to bow. This bowing will weaken the entire foundation, and keep in mind, the weight of your whole house is resting on these walls. A bowing or leaning wall is one of the most common foundation problems in our area. Unstable Walls Need to Be Repaired ASAP! Walls that are showing signs of movement are unstable and are in need of some type of corrective action. There are devices that monitor movement within the wall structure. Our experts can inspect your property and determine what needs to be done to remedy the situation and keep it from happening again. Earth anchors are the most common tool used in this situation. Tar Heel Foundation Solutions, LLC has the right people and tools to get the job done effectively and quickly. 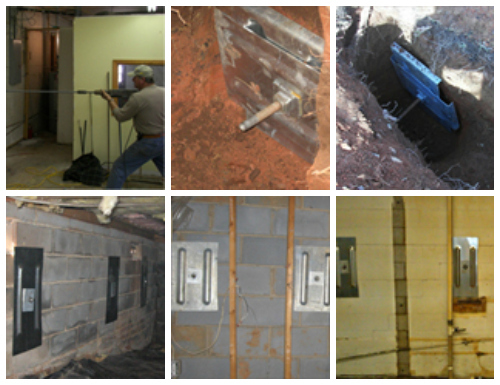 We’ll inspect your property for free and give you a quote on the work that needs to be done. Don’t let a bowing or leaning wall become a foundation failure. The structural integrity of your building is at risk, but our professional bowed wall experts can make sure it is stronger than ever. Get in touch with us and let us send an expert to review your damaged wall situation and determine what we can do to help you solve any bowing or leaning that you have encountered.